This could be exactly what you have been looking for! Thank you for your interest in learning more about our organization and the opportunity that we offer to those seeking a financially rewarding business in the fastest growing, recession proof industry. Those individuals interested in the security of building their own rewarding and profitable business will find this opportunity especially appealing. We are interested in highly motivated, experienced entrepreneurs who would like to own their own cash flow management company. 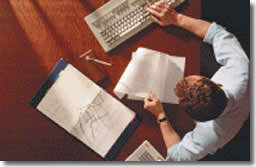 This recession proof industry provides you with stability of owning your own business with little overhead or expense. We are committed to helping the most driven, dedicated entrepreneur develop a profitable, long-term business. Be in business for yourself, but not by yourself. Comprehensive training is provided and ongoing education and coaching are supplied to ensure your on-going success. For more detailed information, visit one of our work shops. Call us at 615-972-8526 to reserve your seat.